1. Cut the rind off the Creamy White, place in a bowl and leave it to rest at room temperature for one hour. 2. Once the cheese is soft, mix until smooth and even. 3. Chop the nuts and dried fruit. Stir 1/3 of the nuts and dried fruit with the cheese, and add the remaining 2/3 to a bowl. 4. 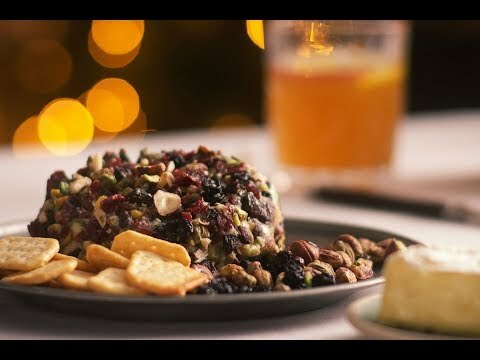 Shape the cheese into a ball and carefully turn the ball in the chopped nuts and dried fruit. Place the cheese ball in the fridge to let it set. 5. Serve with salted crackers.